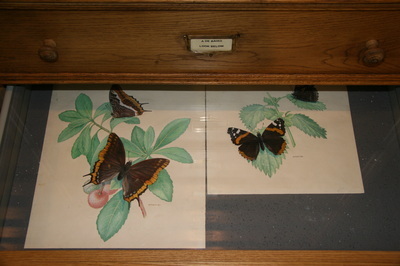 Reconstitution of a 19th century museum, decorated with antique paintings and drawings of butterflies, chandelier, curtain simulating an exterior if no windows are present. 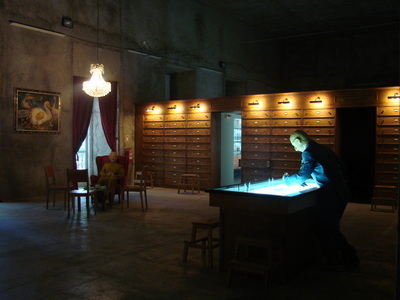 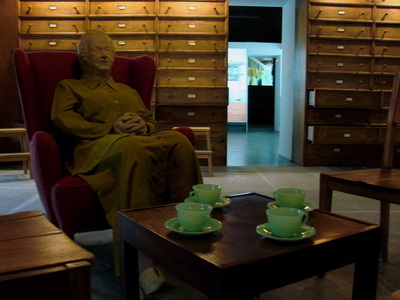 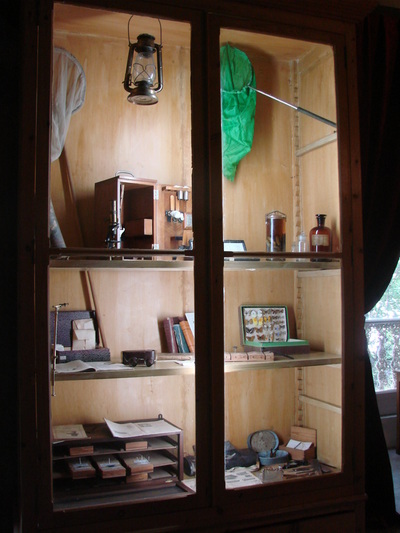 There is also a reproduction of a 19th century library. 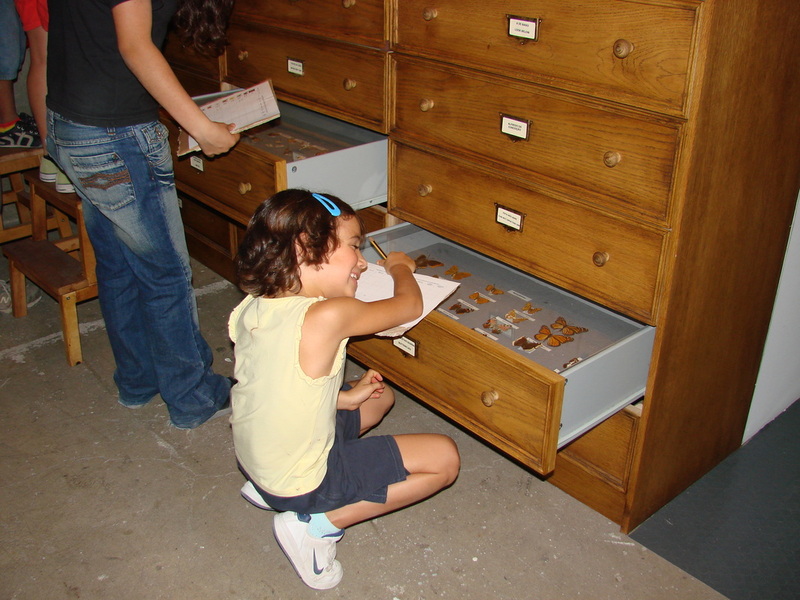 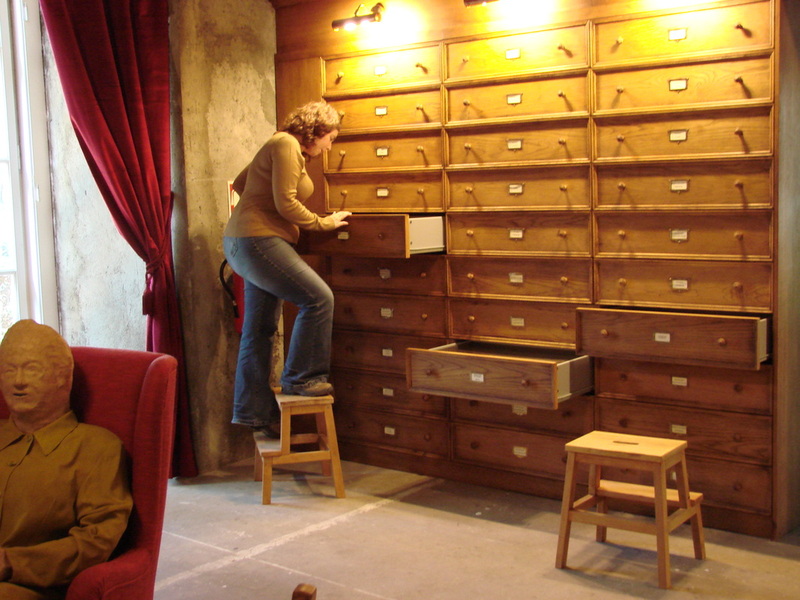 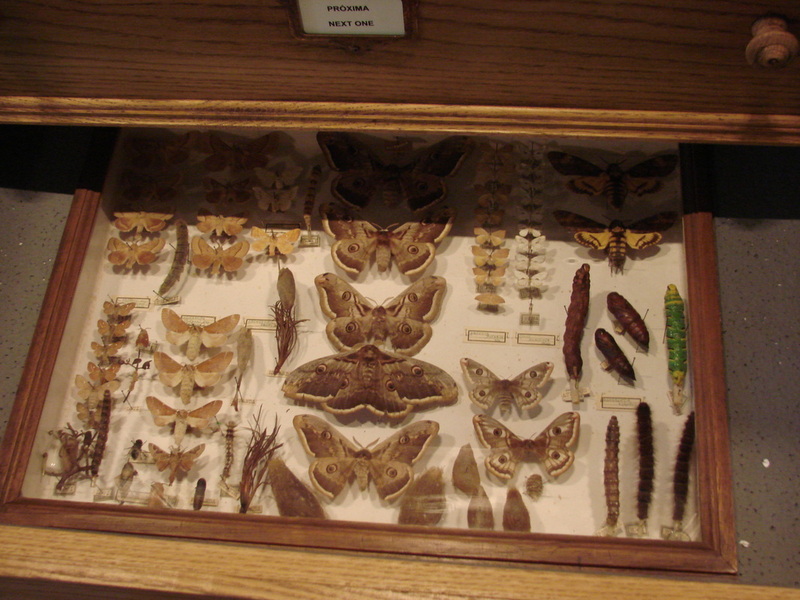 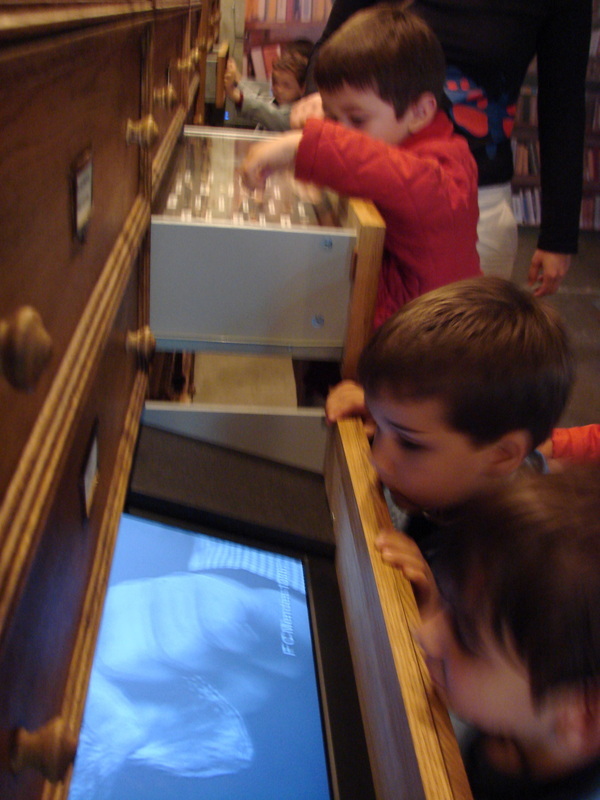 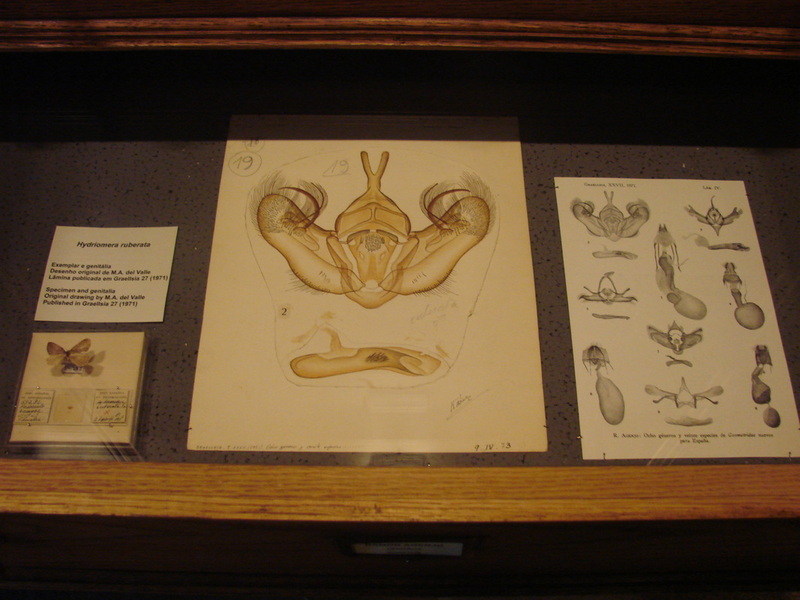 The main element in this room are dozens of drawers, like in an entomological collection, that the visitor can open. 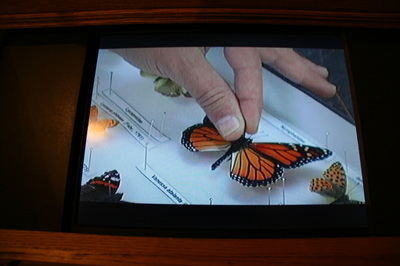 Here they find butterflies, microscopic samples of reproductory system of the insects, equipment necessary to observe and study the butterflies, a video instructing how to prepare a butterfly, sciewntific illustrations. 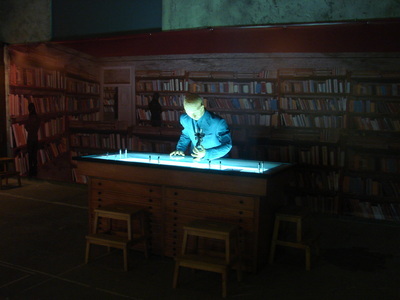 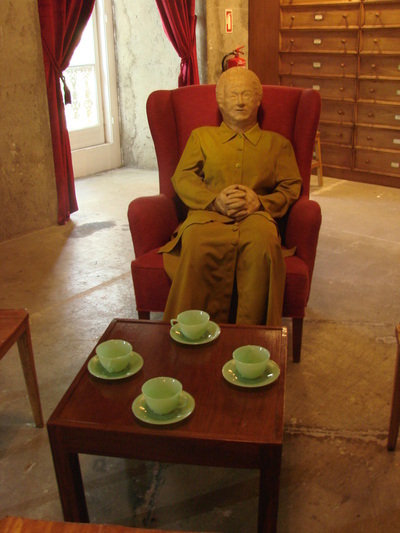 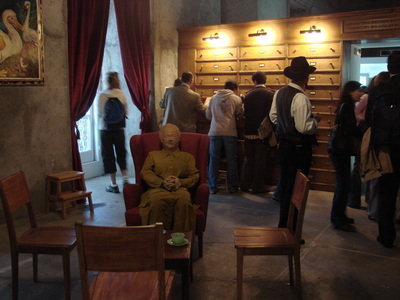 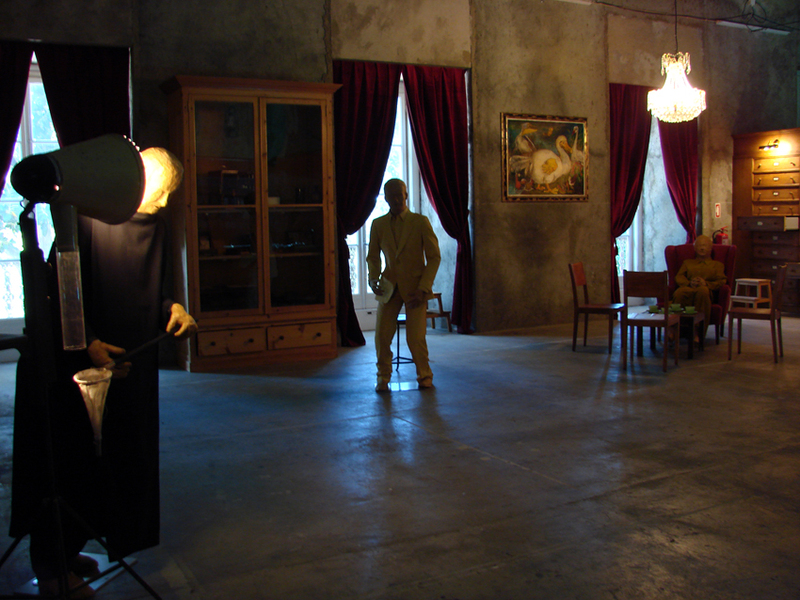 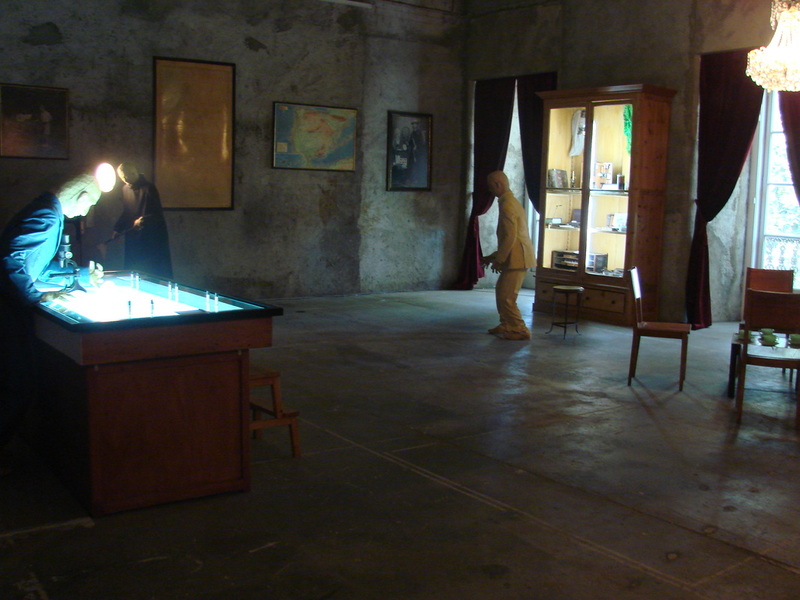 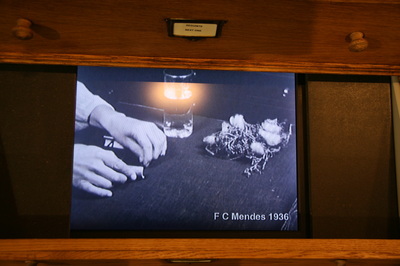 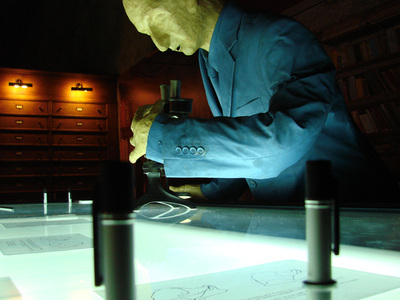 The rest of this space is a reconstitution of systematic work...it is a living mkusem with 4 dolls representing the main characters in the history of Iberian lepidoterolgy – Maria Amélia Silva Cruz, padre Teodoro Monteiro, Ignacio Sagarra e Ramón Agenjo – these have recorded messages explaining how they got interested in studying butterflies.